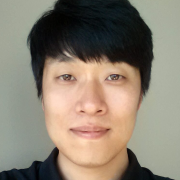 Woosuk Lee is an electrical engineering researcher with the Applied Sciences Group at Microsoft. His research interests include hardware and software architectures for embedded computing systems, biomedical circuits and systems with an emphasis on reliable system design, low power design, and micro-scale energy harvesting. Before joining the Applied Sciences Group, he received his Ph.D. in Electrical and Computer Engineering in 2016 from Purdue University. He has designed dozens of embedded systems platforms that scale from an implantable medical device to an industrial network-based master controller for power plant automation. His designs share low power operation as a common trait and he is the winner of several design contests. He was also involved in numerous international standardization projects, where his team standardized an Ethernet-based industrial automation protocol (RAPIEnet) as an IEC standard.